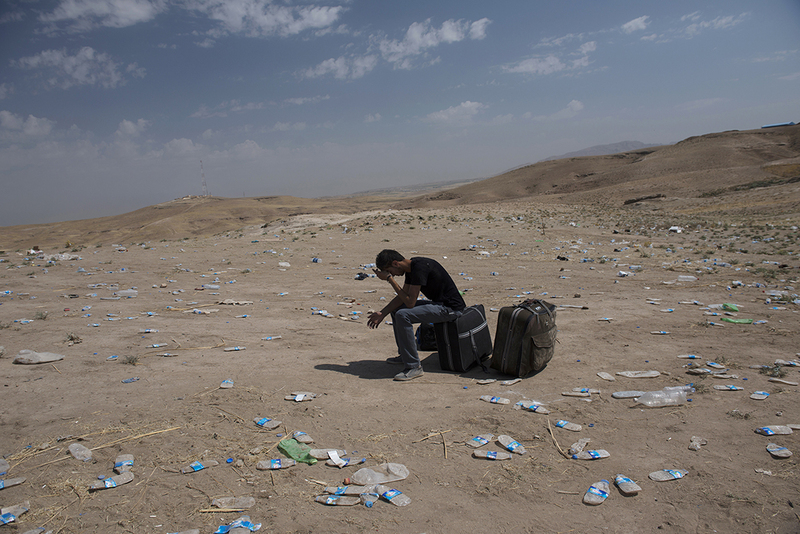 Syrian refugees wait to be transported to a refugee hours after crossing into northern Iraq near the Peshkhabour border point in Dahuk, Northern Iraq, from Kamishli, Syria, August 21, 2013. The United Nations High Commission for Refugees estimates that over 30,000 Syrians have crossed into Northern Iraq since the border was re-opened last week, and roughly three to four thousand continue to cross daily. The mostly ethnically Kurdish refugees are fleeing increasing insecurity, economic strife, and a shortage of electricity, water, and food in their areas.